In the age of Technology, everyone has their own personal computers or laptops both at home and in the office. With our increased use of technology in our businesses USB’s are a valuable and essential device to any wanting to copy, store and transfer documents. 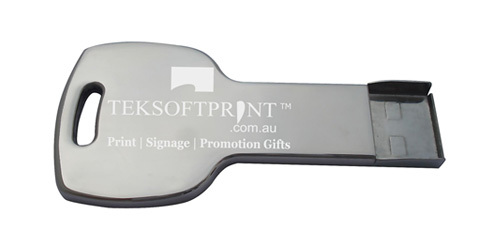 Promotional USB’s are a very practical item for your customers that they will take with them wherever they go. Having a useful promotional tool will ensure that is will not be forgotten or discarded by your customer therefore they will be constantly able to see and remember your company’s details, keeping you at the fore front of their minds. In addition, you can write-protect your material so that the customer cannot remove it from your giveaways. You leave enough space on the flash drive to make it useful for your customer. This material can be your business advertising or acknowledgment to remind them of your company. 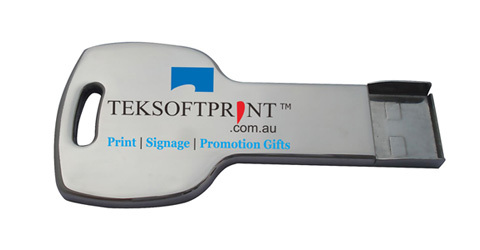 Come to TEKSOFTPRINT, we are sure you will have no regrets dealing with put company and staff. There are a variety of shapes to choose from (leaf, car, shoe, bag, hand shape and so on) that are printed in full colour on either one side or both sides. We guarantee you will leave feeling satisfied.